The rigid tip non-video laparoscopes market in the Asia-Pacific (APAC) region, which covers Australia, China, India, Japan, New Zealand, South Korea, and Taiwan, is set to grow from $37.9 million in 2016 to around $47.3 million by 2023, representing a compound annual growth rate (CAGR) of 3.2%, according to GlobalData, a recognized leader in providing business information and analytics. The company’s latest report states that key drivers of the market include an increasing number of laparoscopic procedures owing to benefits over open surgical interventions, and advanced product features associated with camera heads and other ancillary instruments that are used with non-video laparoscopes. Vinie Varkey, MSc, Healthcare Analyst for GlobalData, explains: “Laparoscopic procedures are increasingly adopted over open surgical interventions due to the benefits offered by the former, which incurs fewer post-surgical complications and shorter recuperation times for patients. “Another factor that affects the growth of this market is surgeons’ increasing preference for non-video laparoscopes due to their lower acquisition costs compared to video laparoscopes, especially in countries that have healthcare systems limited by financial constraints. India will see the fastest take-up in the APAC region, with a CAGR of 5.5%. In terms of key players, the rigid-tip non-video laparoscopes space consists of companies of all sizes in terms of global presence and reach. 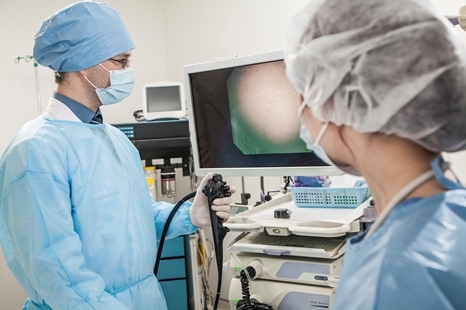 While the underlying design of this kind of laparoscope is fairly standard across the product portfolios of different companies, GlobalData believes that advancements in camera heads and imaging systems are the primary factors that set different manufacturers’ non-video laparoscopes apart. Major players within the rigid tip non-video laparoscopes space include Arthrex, Karl Storz, Olympus, and Stryker. Other players include, CONMED Corporation, NOVADAQ Technologies, Richard Wolf, and Smith and Nephew. – Information based on GlobalData’s report: MediPoint: Rigid Tip Non-Video Laparoscopes – North America Analysis and Market Forecasts.